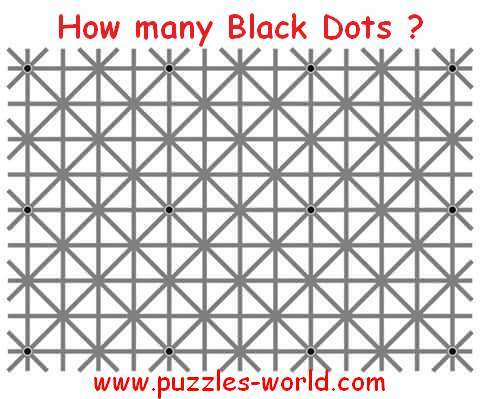 Count the Black Dots ? Can you Count the Black Dots ? Optical Illusion : How many Black Dots can you Find ? Count the number of Black Dots in the Image above. Share the Image on Social platforms with your friends and family and see who can give the correct answer to the total number of Black Dots in the image. There are 12 Black Dots in the Image.